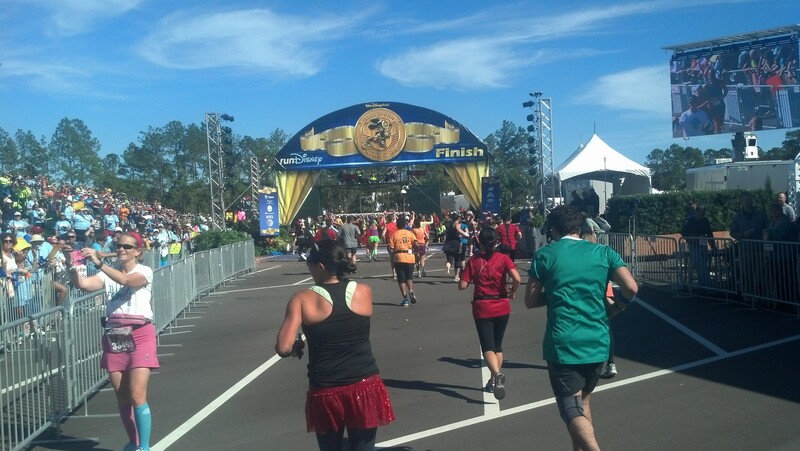 Crossing the finish line at the Walt Disney World Marathon was the end of a long journey for me. I had thought of maybe running a marathon some day after finishing my first 5K back in January of 2012. However, if you’d asked me back then if I’d get it done less than 2 years later, I would have thought you were crazy. 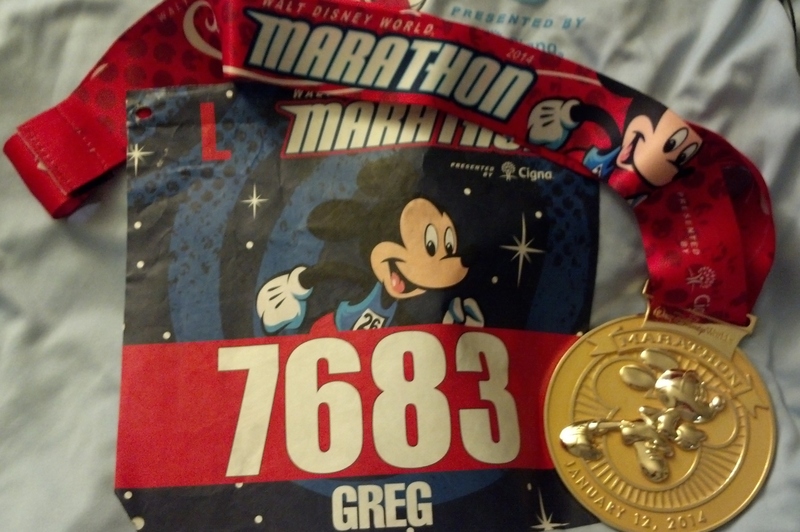 The dream of this race was planted in February of last year as I read various race recaps from the 2013 Walt Disney World Marathon. Here is the blog post from when I registered for this event on April 9, 2013. Of course, I had been contemplating running this race before April 9th. 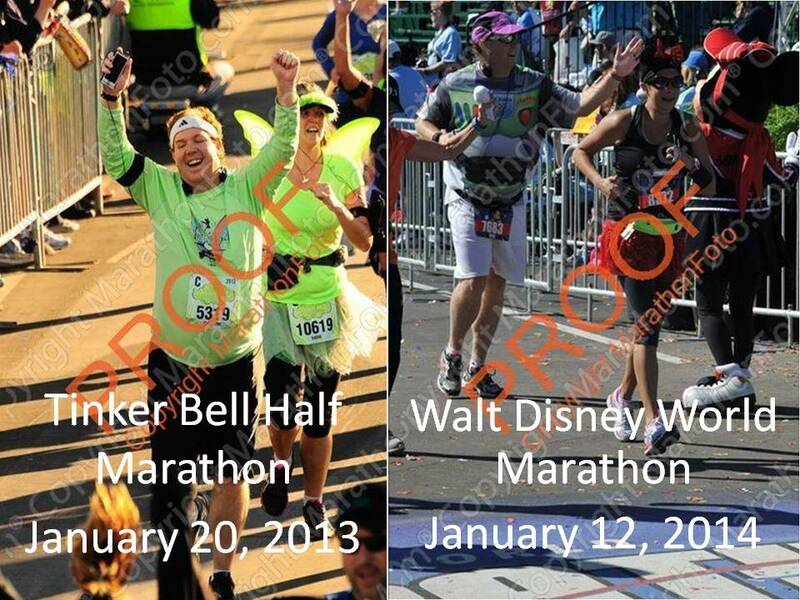 Something in me just knew that 2014 just had to be the year I ran in the Walt Disney World Marathon. The weather in Southern California has been amazing for the most part ever since I started training for the Dumbo Double Dare. We had a fall and winter with very little rain. The temps have been in the 70’s or 80’s ever since the week before Christmas. So, cold weather was rarely a consideration in training. It all feels like this was just meant to be. 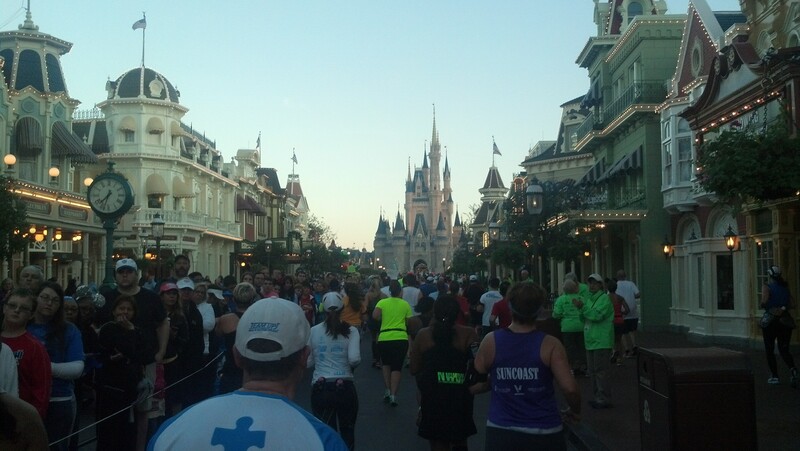 The weather for the Walt Disney World Marathon was also perfect for running. It couldn’t have been more perfect. As for the race itself…I loved the course! Running up Main Street USA was just as magical as everyone had written about. The crowds were large and loud during this part of the marathon. Seeing Cinderella’s Castle at the end of the street was awe-inspiring. It was simply magical. 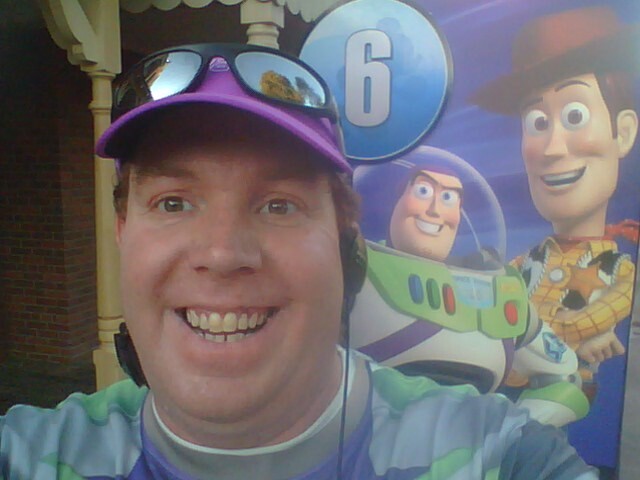 The most surprisingly awesome part of the course is running through Disney’s Hollywood Studios. In the race recaps I’ve read over previous Walt Disney World Marathons, not a whole lot is said about this part of the course. So, I was completely surprised how awesome this was. The crowd support is just as great as in any of the other theme parks. Getting candy as you enter the back stage area is awesome! Running through the costuming area backstage was another treat. I wish I trusted my phone to last longer so I could have taken some photos from that stretch of the race course. Running through Disney’s Hollywood Studios re-energized me and the momentum from this theme park carried me all the way to the finish. 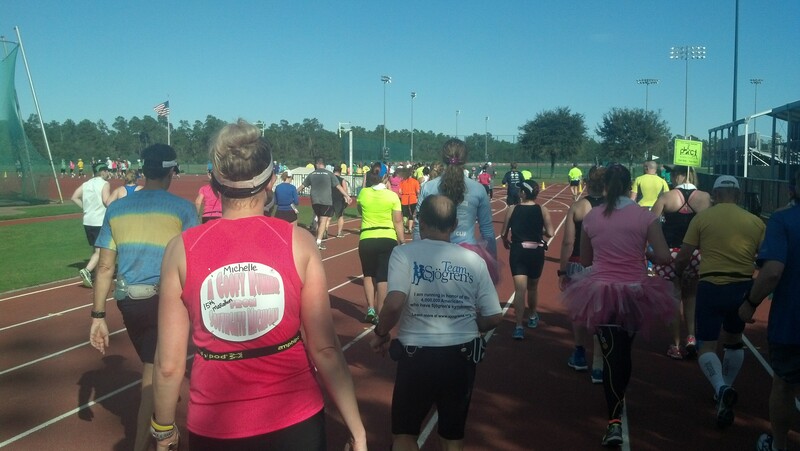 Favorite place to run outside of the theme parks was running the track at the ESPN Wide World of Sports Complex. It was great to run over a different type of terrain. Running on the track felt amazing to my feet. The tracks by me seem to be closed to the general public. So, I never get to run on them. That made this part all the more special. Best music on the course? Running through EPCOT. The music was epic. At the two spots where we, the runners got to vote on the song, they played Katy Perry’s Roar. It was a close three-way tie and the runDisney folks decided to play all three on a loop. However, when I got to those spots, it was Roar both times. The Gospel choir at the end gave me goosebumps as well. 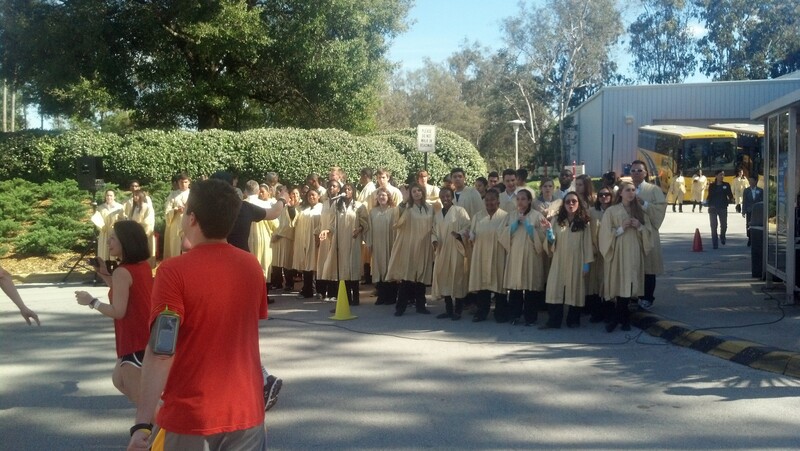 I was sooooooooo over the top happy to see them…and hear them as well! 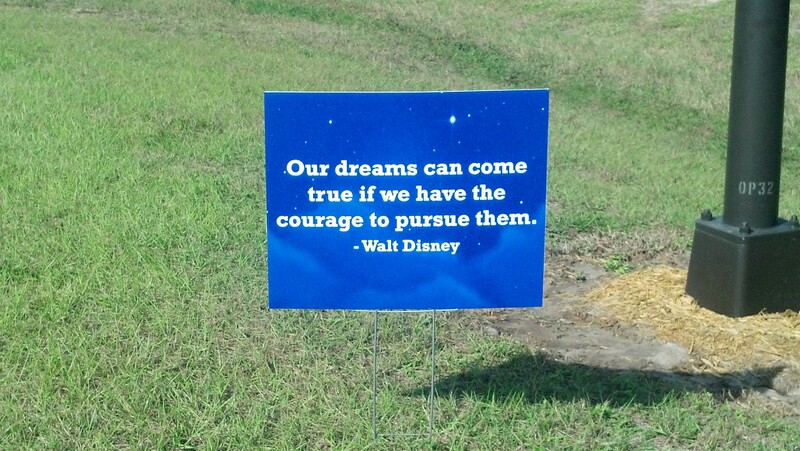 Easily the most inspirational sign I saw all day! I don’t know why, but when I read those words on the course, it was very moving. I’ve got to admit..I almost cried. Best moment of the day other than crossing the finish line….seeing my wife right before the finish. She got to be there to watch me (from behind) cross the finish line of my first full marathon! Seeing her was pure joy! I am beyond blessed to have such an amazing wife! 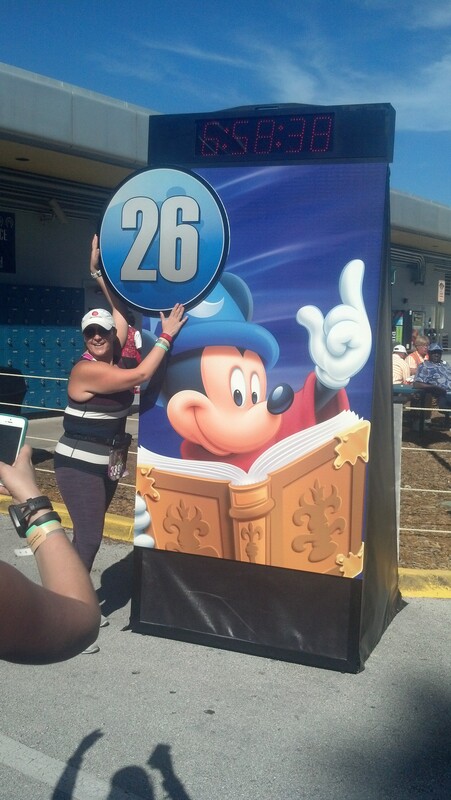 At the end of the day, I came to Walt Disney World to run a marathon and finish it. 26.2 miles is a long distance to cover. Would I come back for this race? Absolutely. 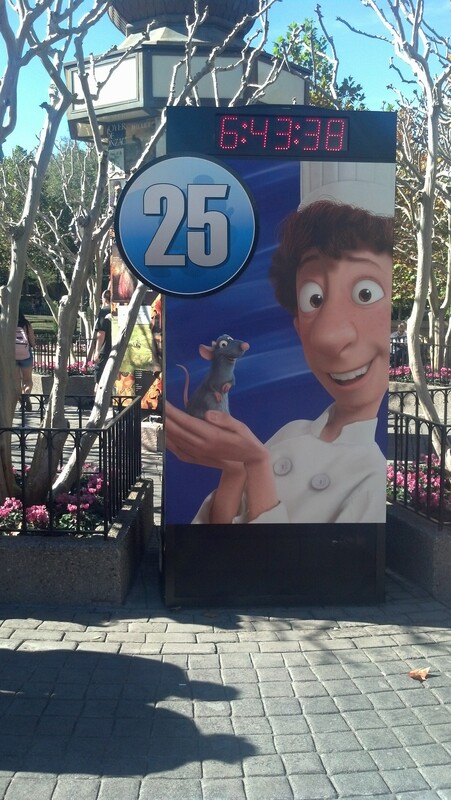 Although, the cost associated with running the Walt Disney World Marathon will likely mean I won’t do it next year. However, in the future, I would absolutely love to come back and run this race again. 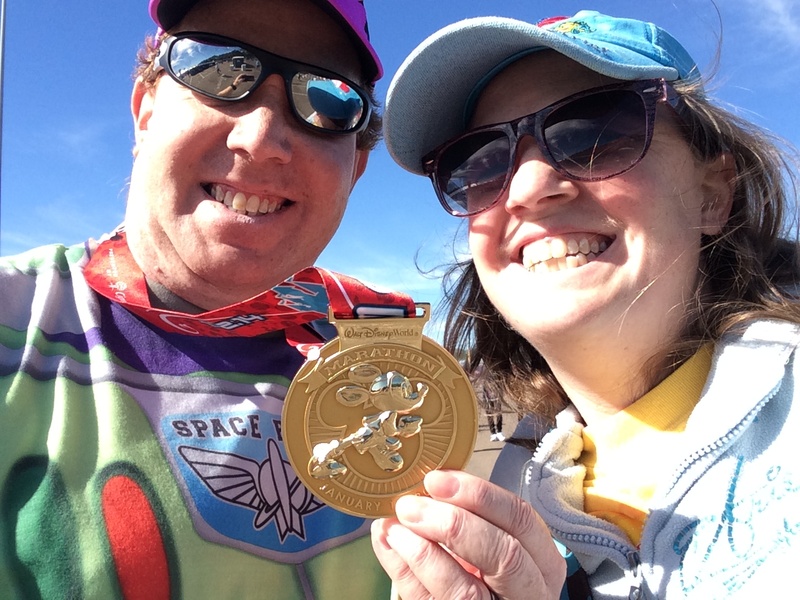 Over the months leading into this race, I read various opinions about whether the Walt Disney World Marathon is a good one for your first full marathon. If you’re a Disney fan, like me, I don’t know how it could not be the perfect first full marathon to attempt. Running through all 4 theme parks, a NASCAR race track, and Champion Stadium? So many things to keep your mind off the fact that you’re running 26.2 miles? What could be better than that? I guess if you’re wanting to get a certain time, it might not be the best first full marathon to run (not that you can’t get a fantastic finishing time at this race…it’s a pretty flat and fast course). However, for me, it was absolutely the perfect place for my very first full marathon. I really don’t have any negatives about my experience in running the marathon. I was blessed to have found a great pace group to carry me through the first 18-19 miles. So, I didn’t have to deal with the boring parts of the course on my own. It was almost as if God was looking out for me. He knew the parts I’d struggle on my own and gave me people to run with through those parts. Then, when I got to the parts I could handle on my own, the group ran away (but that was okay). I did my best to enjoy and take everything in. Much like the Tinker Bell Half Marathon from one year ago, there was never one moment of this race where I thought I wouldn’t finish. For that, I’m really glad. This sign will always remind me of the moment where I first felt like a marathoner. As I mentioned yesterday in my recap, shortly before this sign, while entering EPCOT, I heard a lady in the crowd say, “here come the marathoners!” I was in that group of people who were approaching where she was. It was that moment where I realized that I was now a marathoner. Crossing the finish line was sweet! It was thrilling! 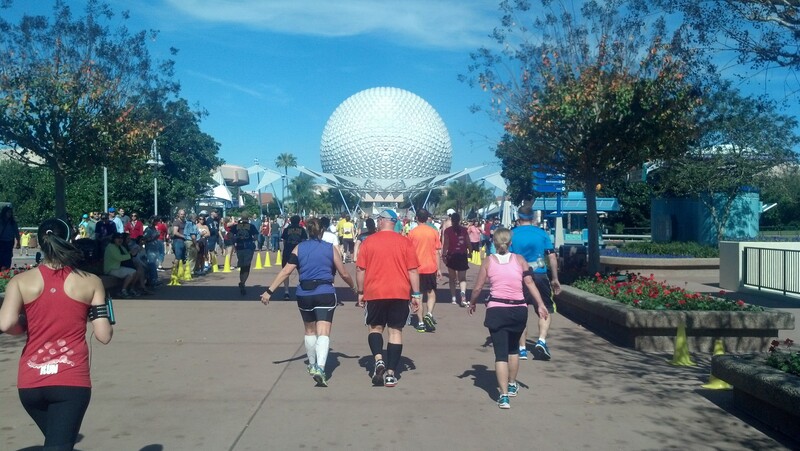 However, as much as I will remember that moment, entering EPCOT might be my most cherished moment of the entire race….the entire trip to Walt Disney World…it was the moment where I first felt like a marathon runner. Oh how far I’ve come in one year! I hope y’all have enjoyed coming along these race expriences with me. As you know, this trip had more to it than the races themselves. So, next week, I’ll discuss all the other fun stuff Brooke and I got to do while in Orlando. Some of those things included visiting Universal Studios Orlando, Universal Islands of Adventure (and the Wizarding World of Harry Potter), EPCOT, Disney’s Hollywood Studios, the Magic Kingdom, the Senses Spa at the Grand Floridian Resort, and so much more. Yes, we sure packed a whole lot of fun things in our trip to Walt Disney World that I can’t wait to share next week. So, please come back next week for all of that. Also, one week from Sunday, on Super Bowl Sunday, I’ll be running in my next half marathon…the Surf City Half Marathon in Huntington Beach, California! The running journey continues on…even after finishing a full marathon. Have a fantastic weekend! I’m Officially a Dumbo Double Dare Runner! So proud of you Greg!!!! I cried when I finished the marathon. I love Surf City and ran that twice but I won’t be running it this year. Livermore has their Half in March and I wanna do that one so no Surf City for me this year. Thanks Patty! I thought I would cry when I finished, but instead was just overly happy. Weird. I’m totally looking forward to Surf City next weekend! I’ve heard so many great things about that race. The surfboard finishers medal looks awesome! Plus, I’ve done a number of training runs in Huntington Beach and love the area. Can’t wait to run the Surf City Half Marathon next weekend! Thanks Sarah! It was great to meet you as well! 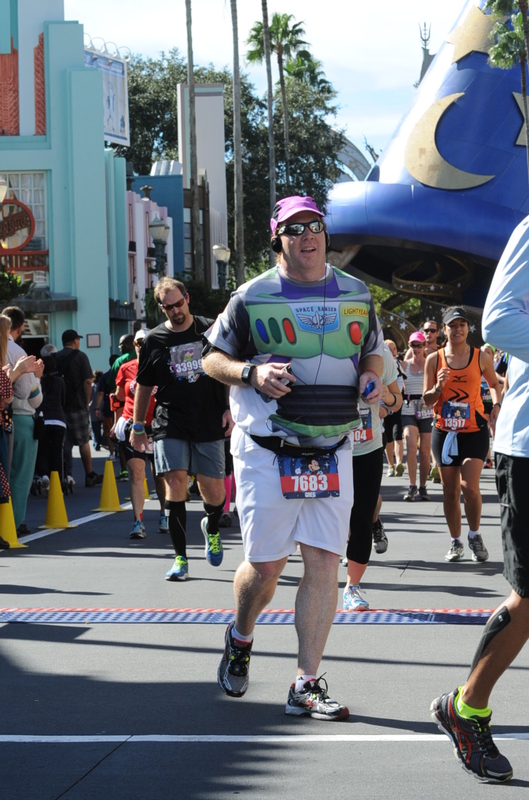 I also love the picture of me crossing the finish line at Tink from last year. It absolutely captured how I felt.